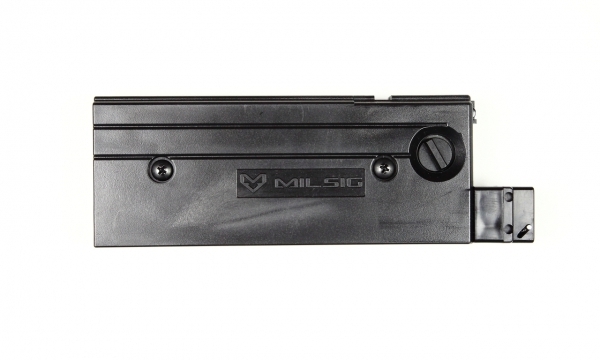 The MILSIG Squarehead First Strike magazine holds 18 First Strike or .68 caliber paintballs. Designed specifically for the Paradigm Pro, M-series Elite and M17. The Squarehead magazines will not work on K-series markers.